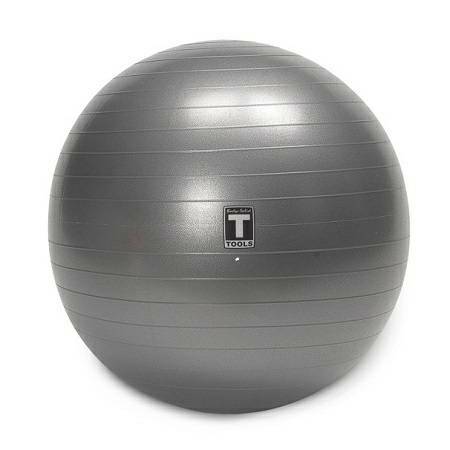 Replace your desk chair with an exercise ball! The best way to ensure a lifetime of healthy posture, balance and conditioning is to commit to a regular core strength and stability program. Fortunately, Body Solid makes it simple, fun and effective with exercise balls durably designed to round out your daily routines. Durable, anti-burst construction is easy to use and easy to clean. Ideal for core strength and stability programs that target toning, stretching, back care, balance and rehabilitation. Physical therapists have exercise balls for years, but fitness experts now acknowledging their effectiveness and efficiency. Body Solid Tools Stability Balls are a great way to incorporate fitness into your everyday lifestyle. They can be used to perform a variety of balance, core training, strength, flexibility and rehabilitation exercises that target the abdominals, hips, glutes, back and upper body. Many people who work long hours at a desk job have also discovered the benefits of replacing their desk chair with an exercise ball.